The Grammys take over L.A. this week, particularly around the week’s end. Still there are a number of noteworthy shows, particularly for the nostalgia-minded. Local rockers Terraplane Sun trek crosstown from Venice to Hollywood to play School Night at Bardot. Top Show: Earle Mankey might not have huge name recognition but he has been a vital cog in the SoCal music scene since he was part of the original Sparks lineup in the early ‘70s. To show how beloved he is, the Earle Mankey Appreciation Night at the Troubadour features members of the Beach Boys, Concrete Blonde, the Pop, Nelson and the Long Ryders. The talented twangy duo Jamestown Revival (who recently played on KCRW) are at the Hotel Café. 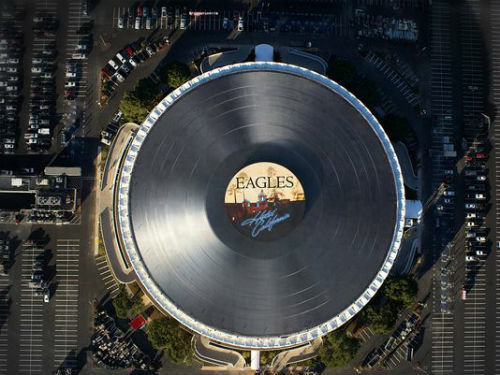 The Eagles land at the Forum for a series of shows starting tonight (and continuing Jan. 17, 18, 22, 24, 25). It seems fitting that this Southern California rock icons kick off the arena’s new life in 2014. More nostalgia can be found at the Whisky where X plays as part of the club’s 50th anniversary. Mr. “Secret Agent Man” Johnny Rivers, who made his name in the ‘60s playing the Whisky, has a concert at Beverly Hills’ Saban Theater with the songwriting genius Jimmy Webb. The wonderful Sharon Jones has an in-store at Amoeba while the revered music writer Robert Guralnick will be at the Grammy Museum to talk music, naturally enough. John Newman showcases his recently released Republic Records debut at the El Rey. Top Show: The Decemberists’ frontman Colin Meloy has a solo show at the Fonda. The Whisky’s anniversary flashback concerts continue with Robbie Krieger’s Kitchen Jam (Krieger will be rocking the Canyon Club on the 17th). Carina Round and The Peach Kings top a nice bill at the Bootleg. Garage rock reigns at the Fonda where Parquet Courts (whose Light Up Gold drew them a lot of attention last year) and White Fence will be plugging in. Another fine bill is at the Echo where Miner and Aaron Embry will be performing. Azure Ray’s Maria Taylor has a solo set at the Satellite and PAPA has a free show at the West Hollywood Whole Foods. There will be symphony of cymbals and tom-toms at Club Nokia for the Guitar Center’s 25th annual Drum-Off finals. Pros like Chad Smith and Steve Ferrone will be part of the festivities. I had the Motels checking into the Whisky on the 12th – that was actually Dramarama’s time to play. Martha Davis brings her crew to the A Go Go tonight. This entry was posted in Uncategorized and tagged Aaron Embry, Azure Ray, Carina Round, Chad Smith, Colin Meloy, Concrete Blonde, Decemberists, Eagles, Earle Mankey, Ernest Troost, Guitar Center's Drum-Off, Happy Traum, Jamestown Revival, Jimmy Webb, John Newman, Johnny Rivers, Maria Taylor, Martha Davis, miner, Motels, Nelson, Parquet Courts, Peach Kings, Robbie Krieger's Kitchen Jam, Robert Guralnick, Sharon Jones, Sparks, Steve Ferrone, Terraplane Sun, the Beach Boys, the Long Ryders, the Pop, White Fence, X. Bookmark the permalink.